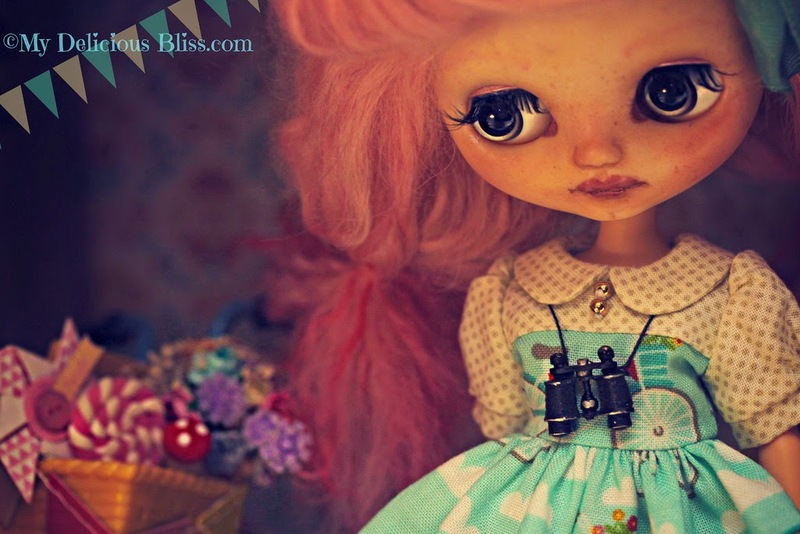 Sweet little Lilliette is waiting for a new home. 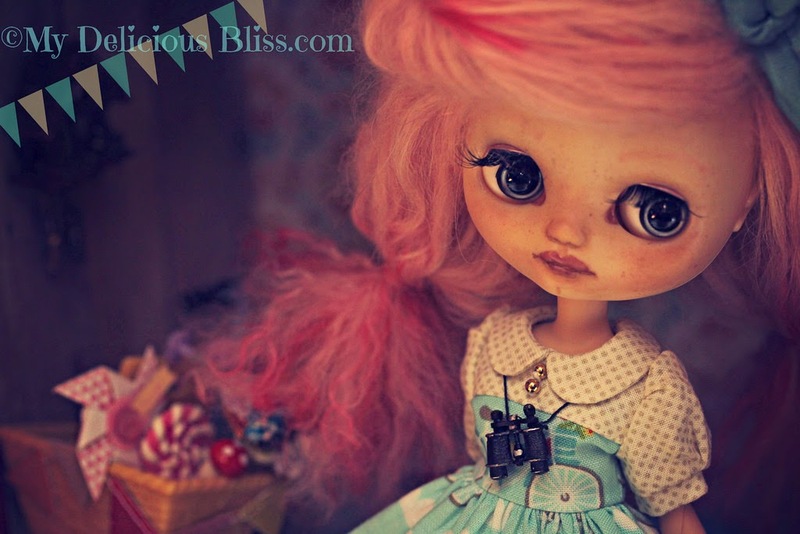 She is a Middie Blythe Macaron Q-Tea Party Custom on a Pure Neemo XS Body with a Sleeping Elf wig, two tones of pink. She has my signature hand painted eye chips. This liile girl is waiting for new advnetures, if you would like to have some with her please visit her Etsy Listing Here. 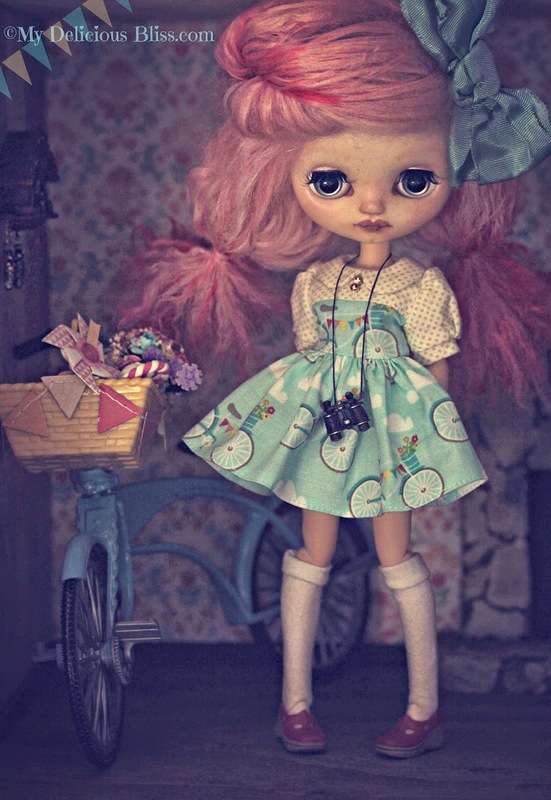 Lilliette wears a sweet Bicycle Dress by Plastic Fashion, Shoes by Secret Hearts, Dollhouse by Poppies Woodshop Designs.